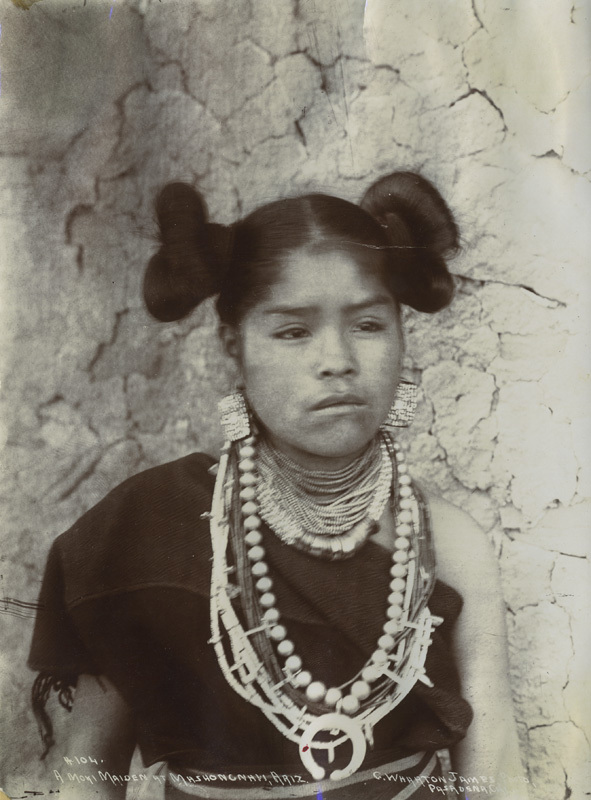 William Henry Jackson, 156. 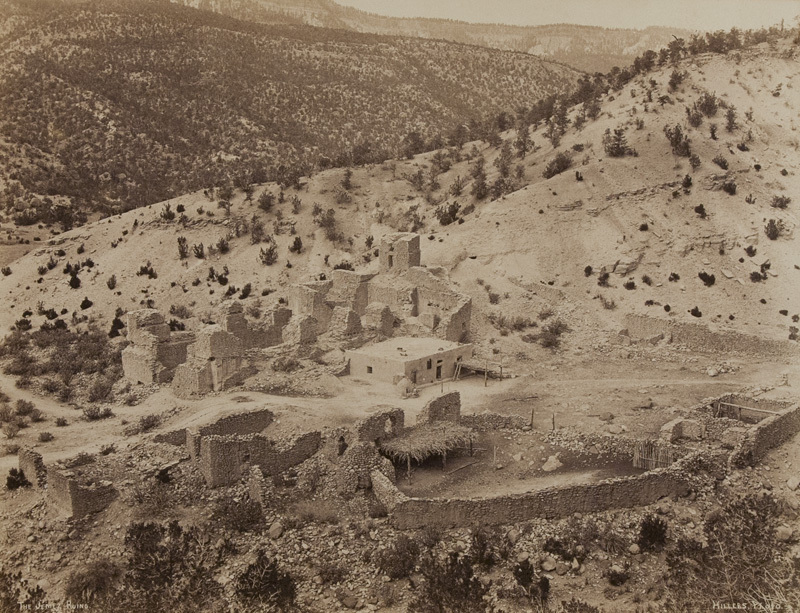 Ancient Ruins in the Cañon of the Mancos, 1874, 4.3 x 7.3” albumen print on Survey Mount. 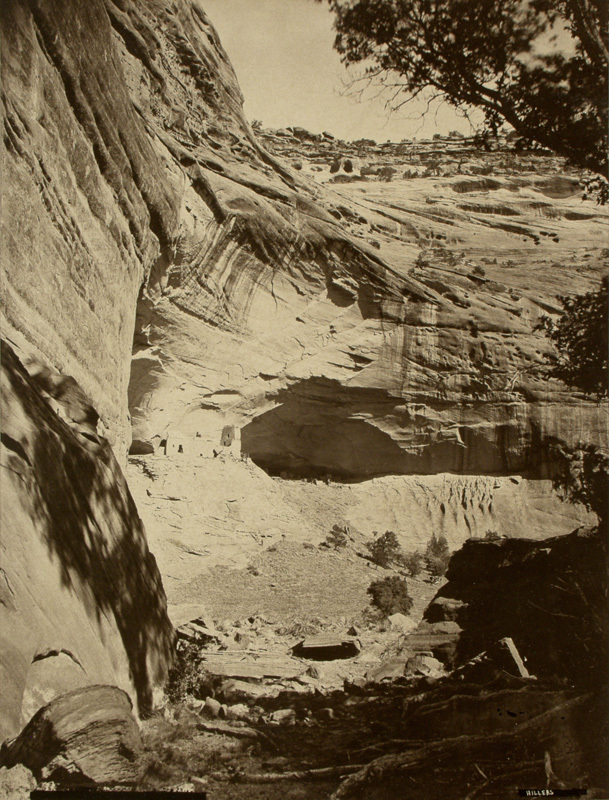 The iconic photograph of the discovery and exploration of Mesa Verde during the Hayden Survey. 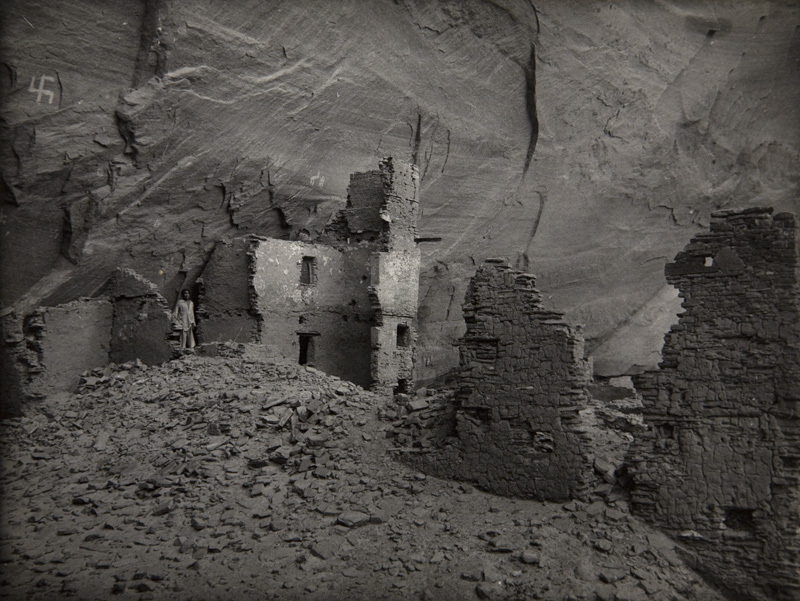 John K. Hillers, Cliff Dwellers Ruins [Mummy Cave Ruins, Canyon del Muerto, Az. 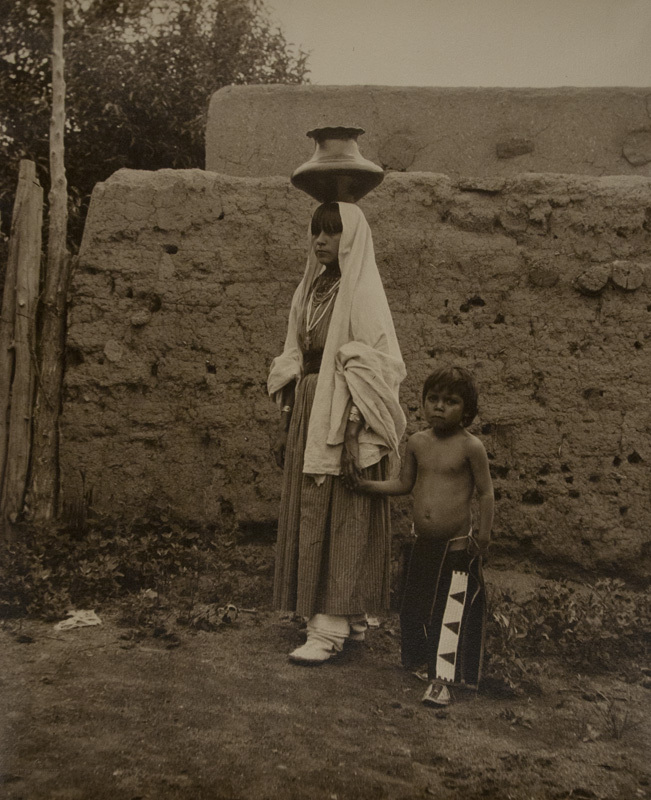 ], 1880 c. 12.8x9.6” albumen print. 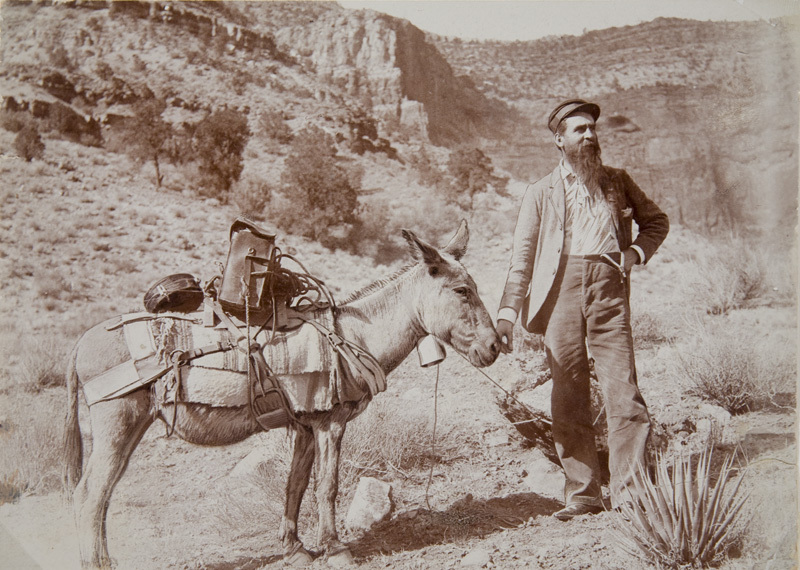 After working as chief photographer of the Powell Survey through the Grand Canyon 1870-1877, Hillers was named chief photographer for the Bureau of American Ethnology, which was directed by John Wesley Powell. 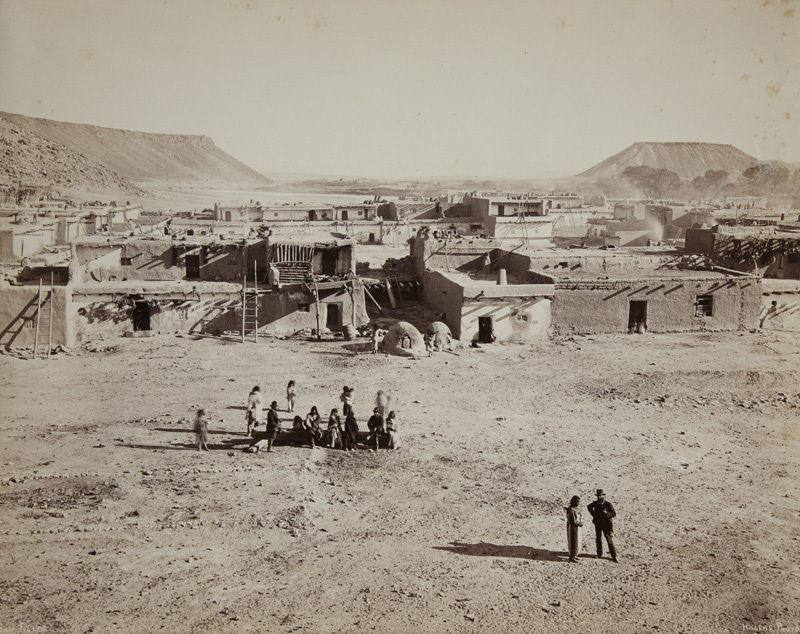 From 1879-1881 Hillers accompanied Frank Hamilton Cushing in surveying and photographing the Pueblo Indian architecture of New Mexico and Arizona. 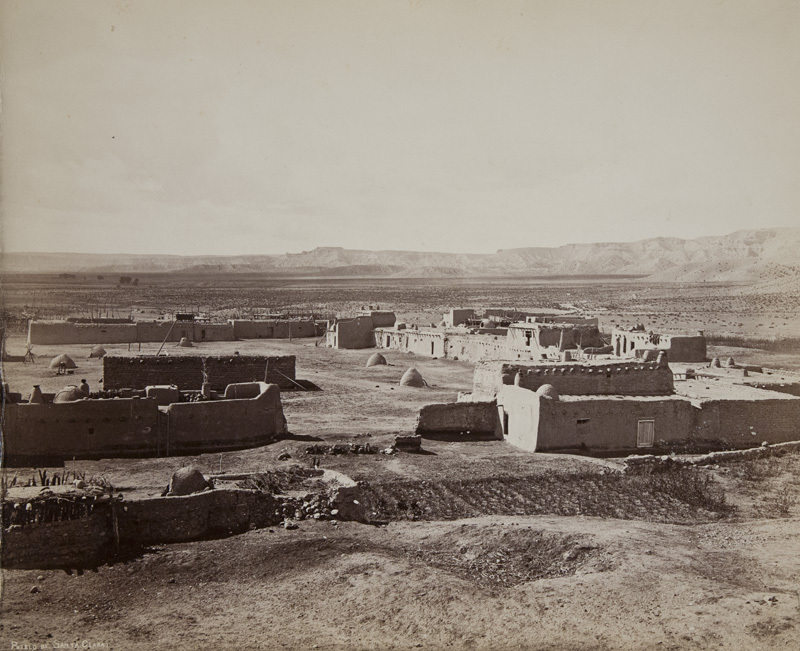 Hillers’ views of the Pueblo and Hopi Villages and archeological ruins in the four corners area made between 1879-1881 are the classic views made, showing the relationship between the hills and canyons and the indigenous architecture. 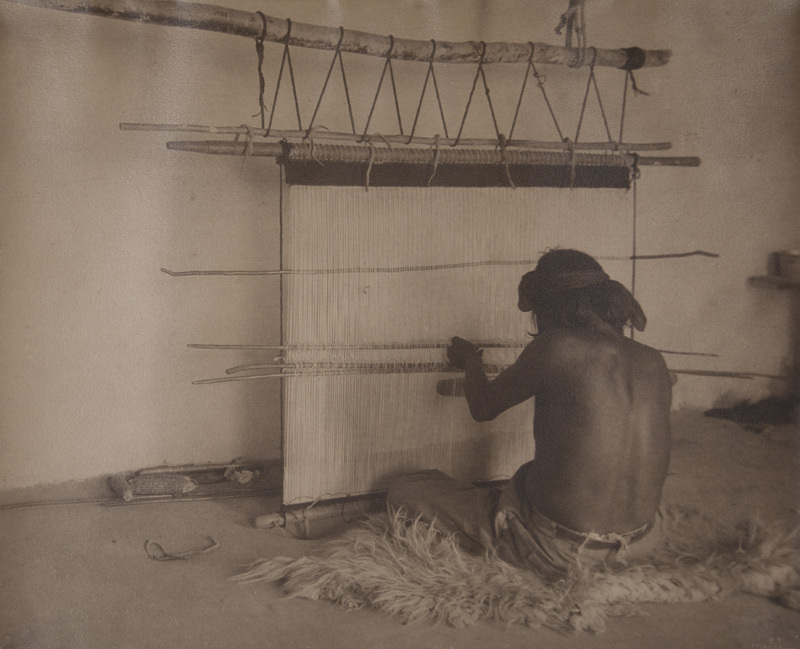 Only Vroman’s work with Frederick Webb Hodge in 1900 compares in quality and composition. 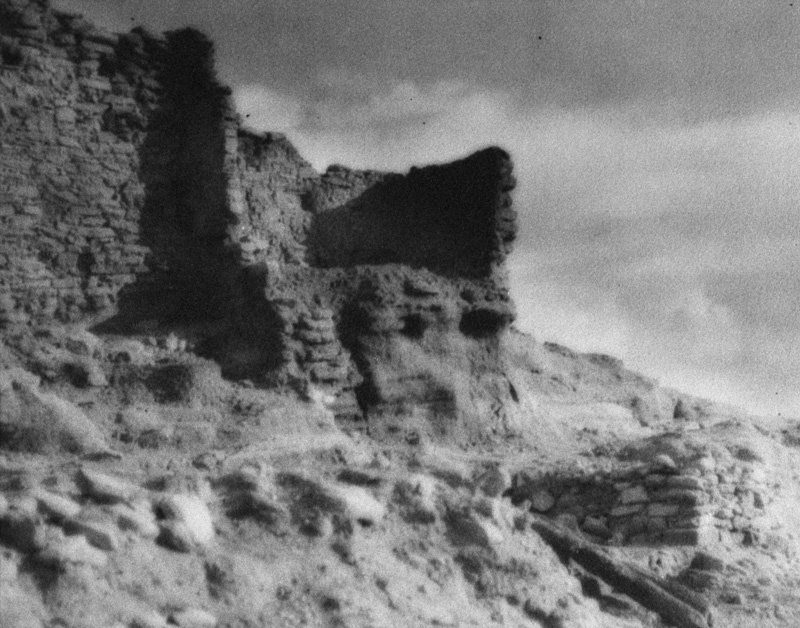 John K. Hillers, Pueblo de Santo Domingo, NM. 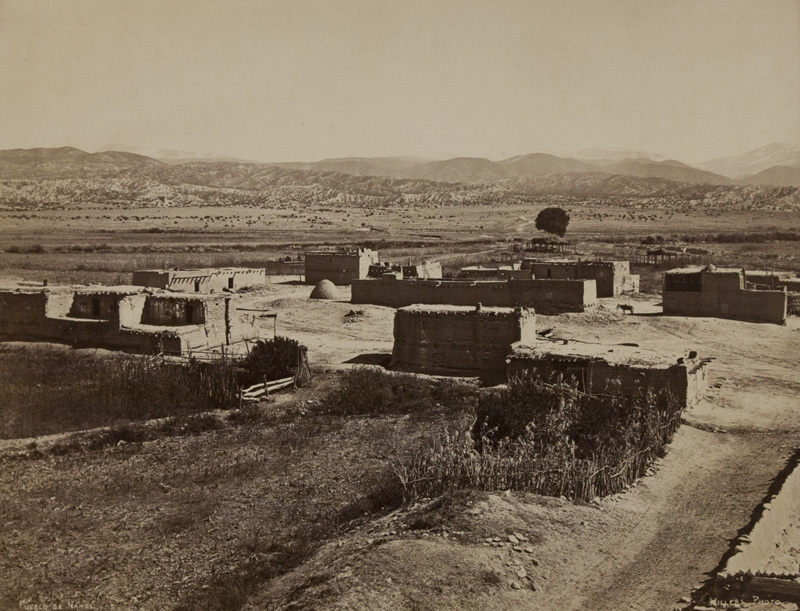 1880, c. 9x11.5” albumen print. 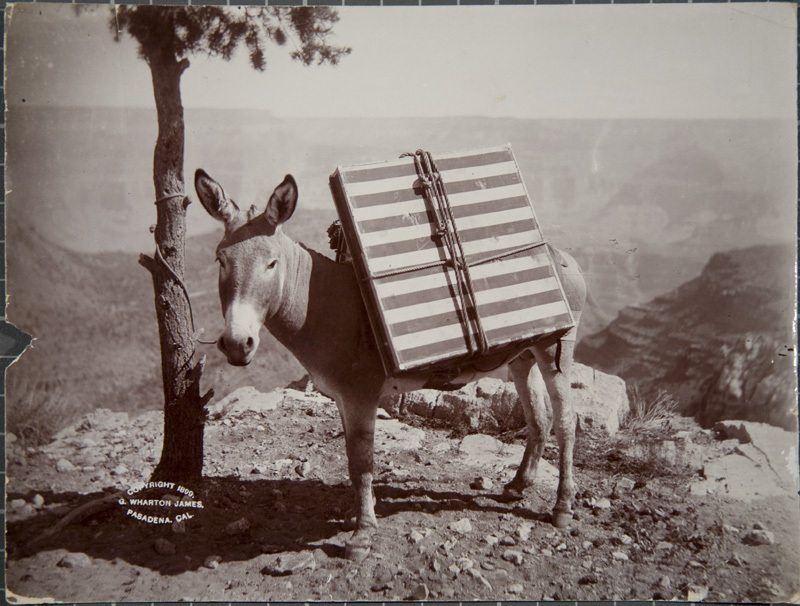 Showing Hillers wagon and some of his camera equipment. 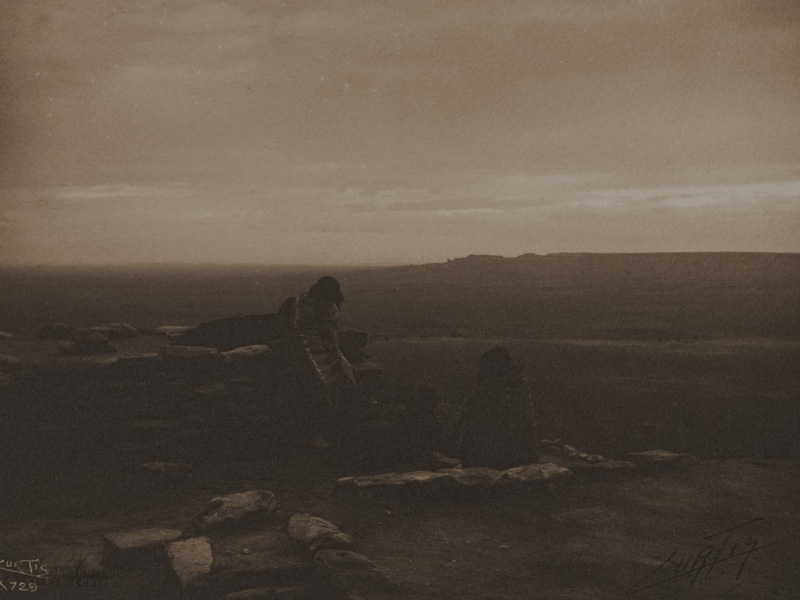 William Henry Jackson, Elk Park, Animas Canon, Co., D&RG Ry., Co. 1885 c. 16.2x20.6” albumen print. 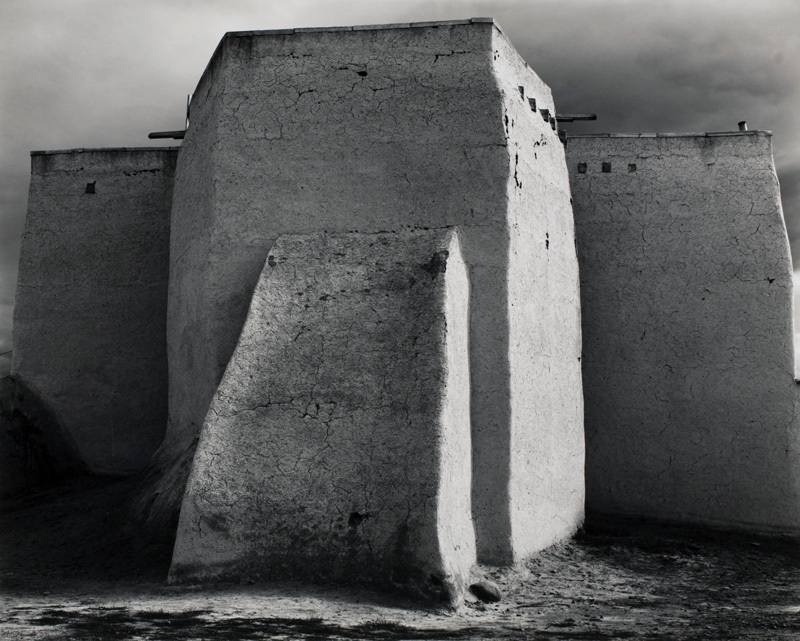 William Henry Jackson , 1027. 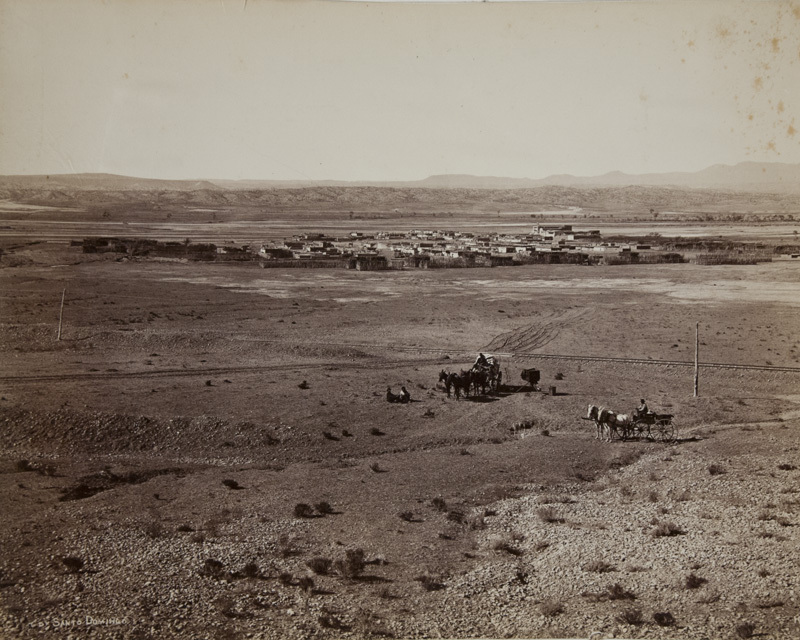 Long's Peak and Estes Park, Co. 1890 c. 8.5x20” albumen print. 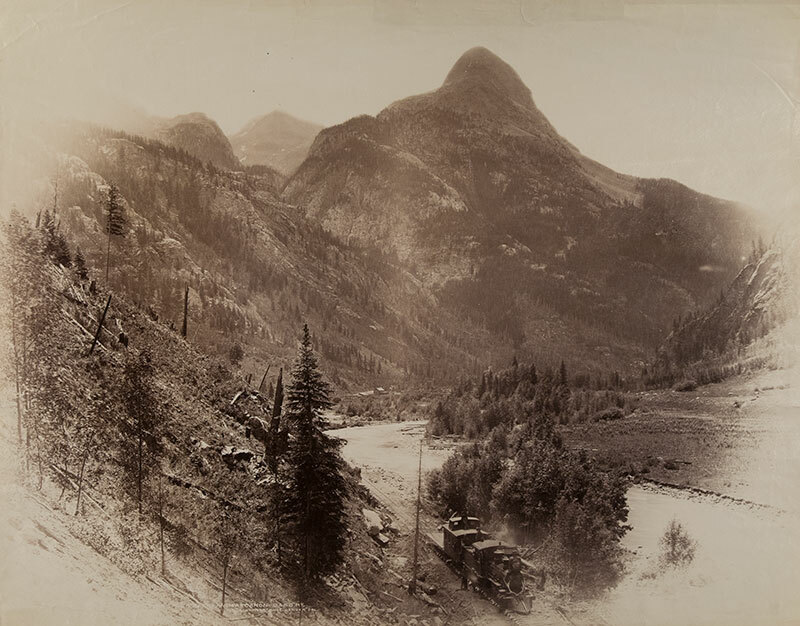 One of Jackson’s rare smaller panoramic prints of Rocky Mountain National Park. 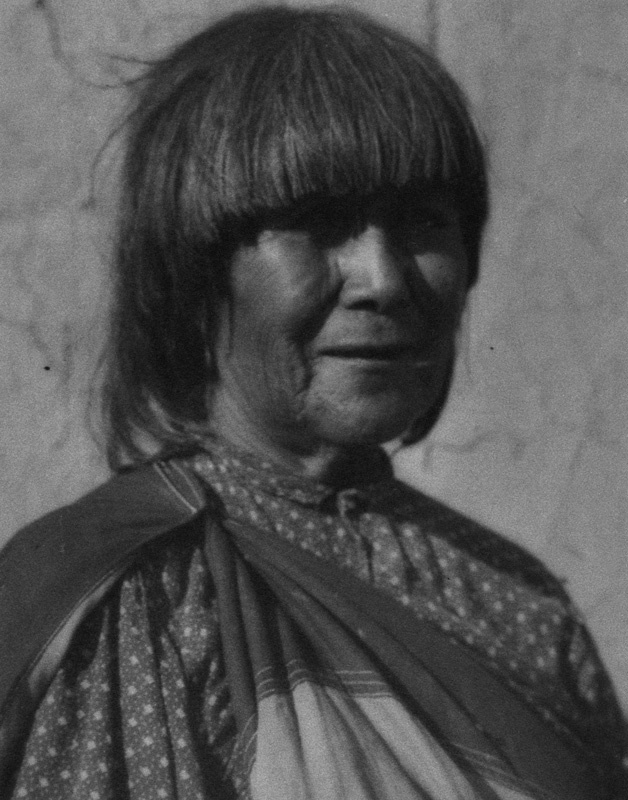 William Henry Jackson, 119. 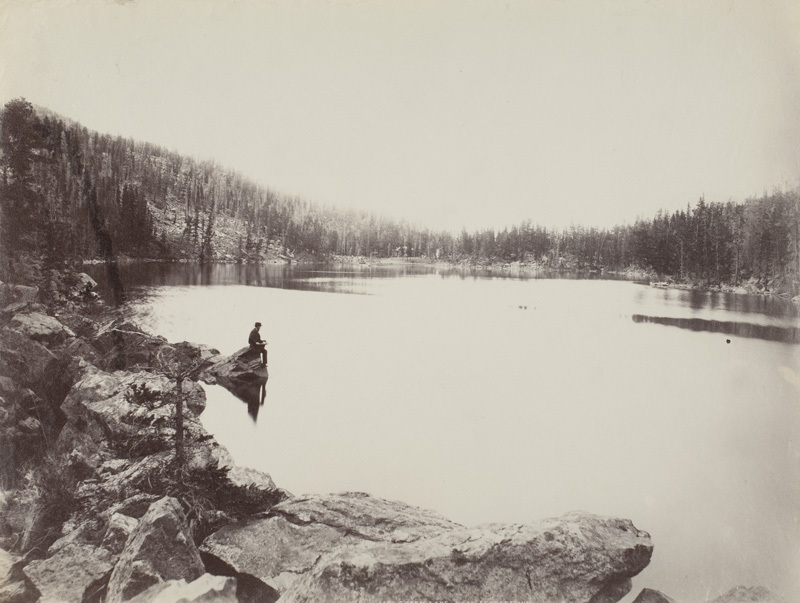 Green Lake. 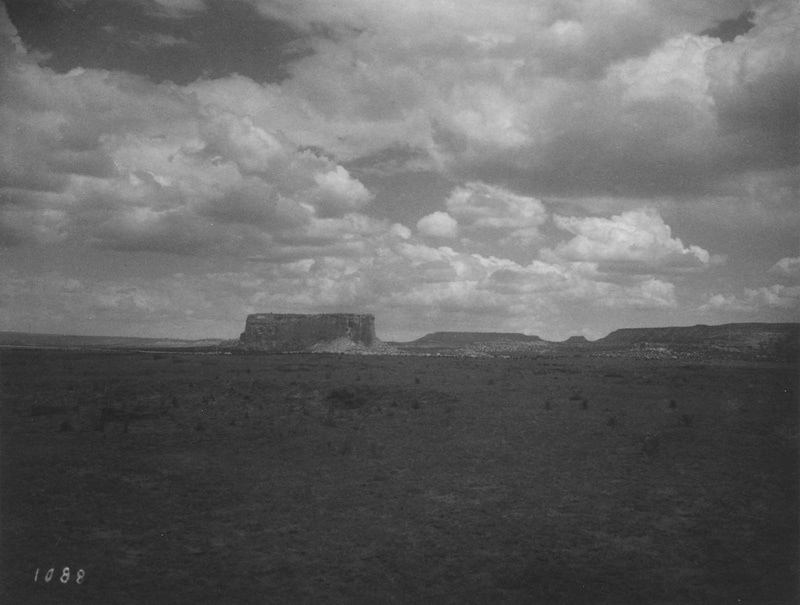 Near Georgetown. 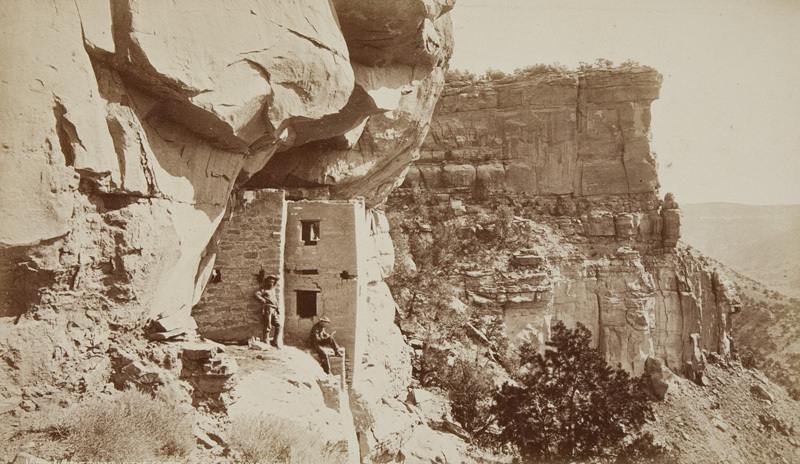 [Co.), 1882 c. 9.75x12.8"
William Henry Jackson, 1396. 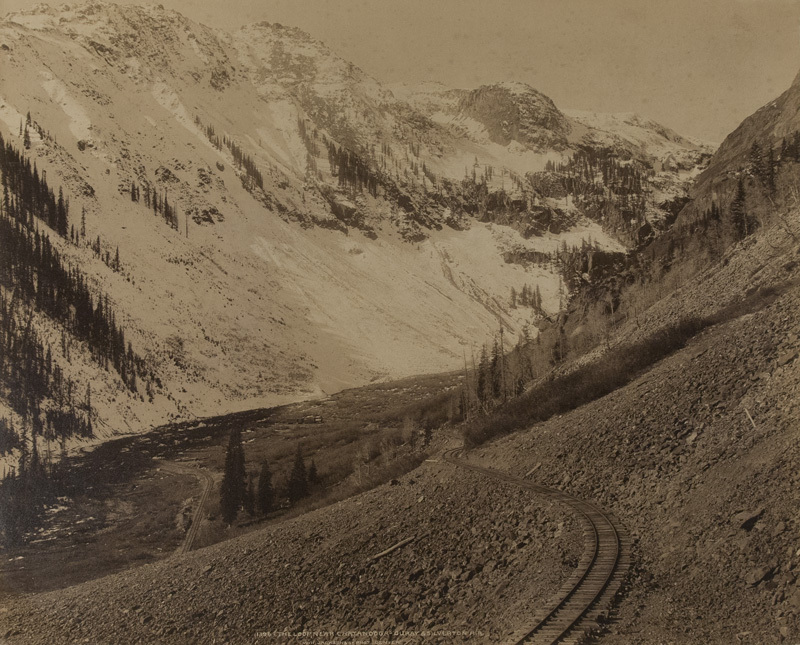 The Loop Near Chatanooga, Ouray & Silverton RR, Co. 1883 c., 17.1x21.7” albumen print. 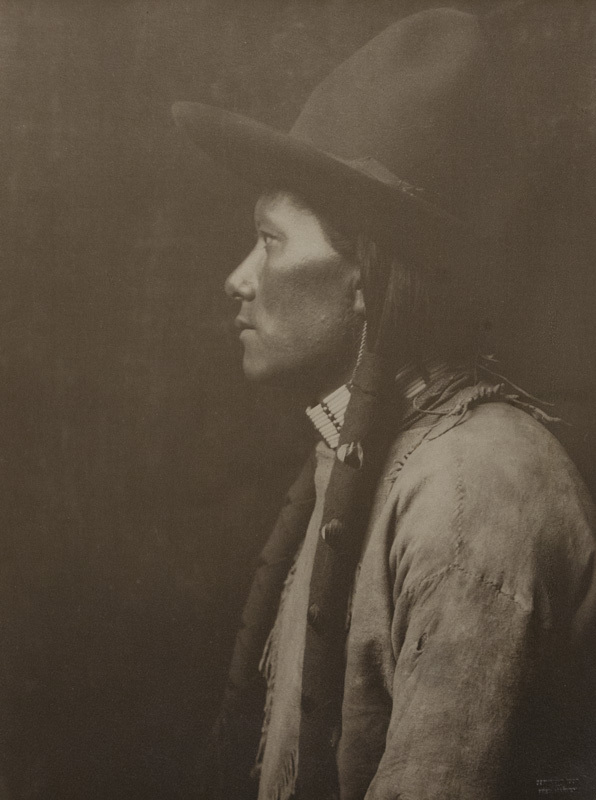 Jackson is one of a half a dozen pioneer photographs who used large mammoth plate negatives. 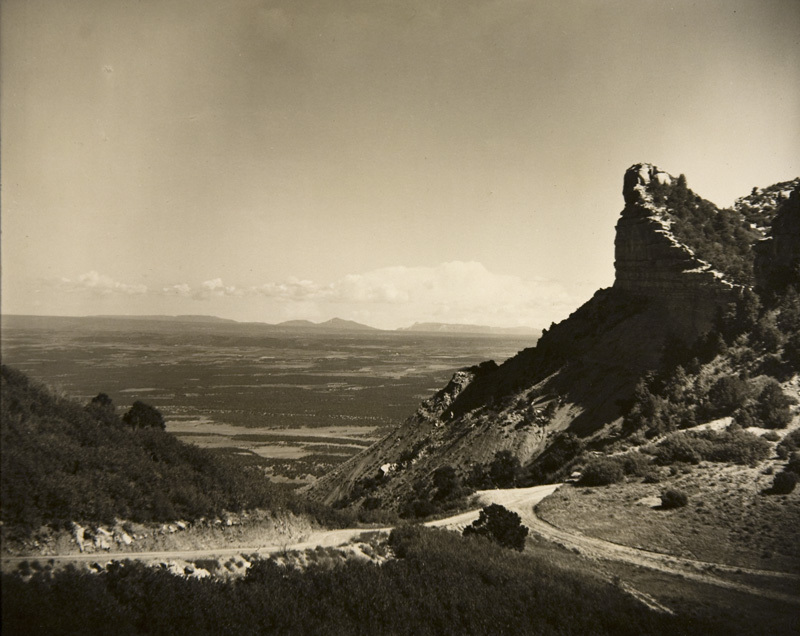 This is a very rare view taken in Southwestern Colorado. 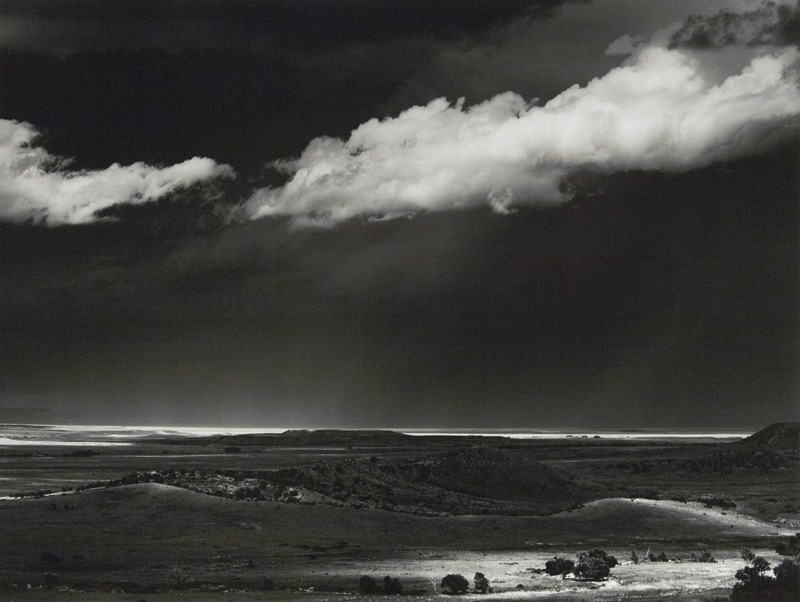 Adam Clark Vroman, No. 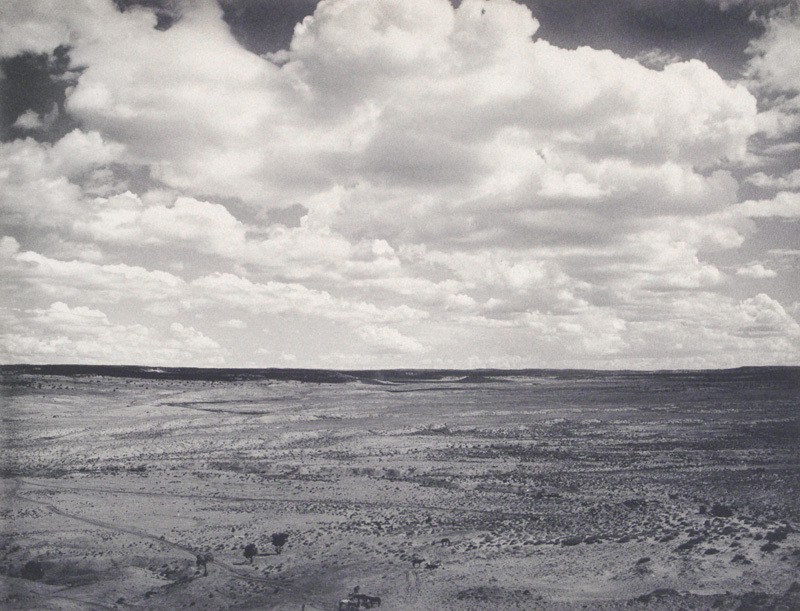 1088 "00" On The Way To Acoma (Katzimo From Acoma), NM 1900, 6 x8” platinum print. 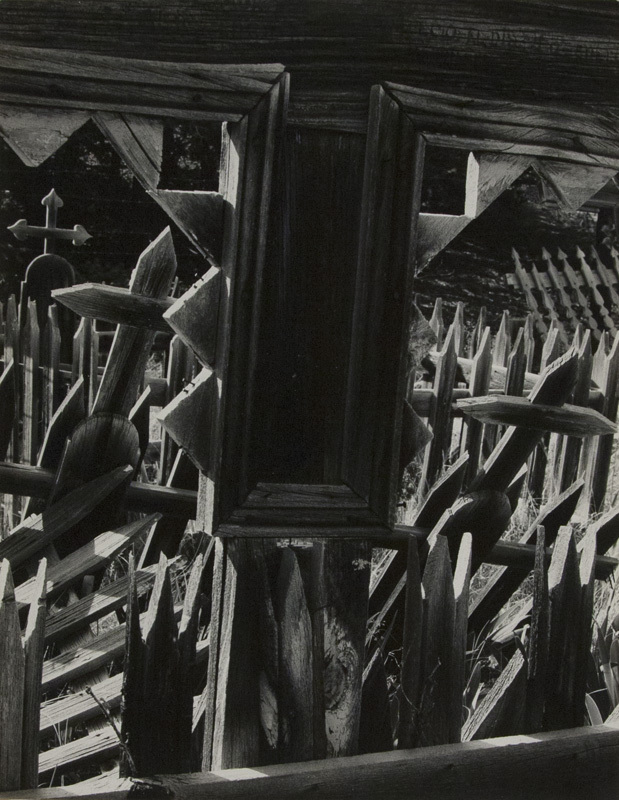 Vroman’s was the earliest significant American photographer to utilize platinum prints and embrace a black and white aesthetic. 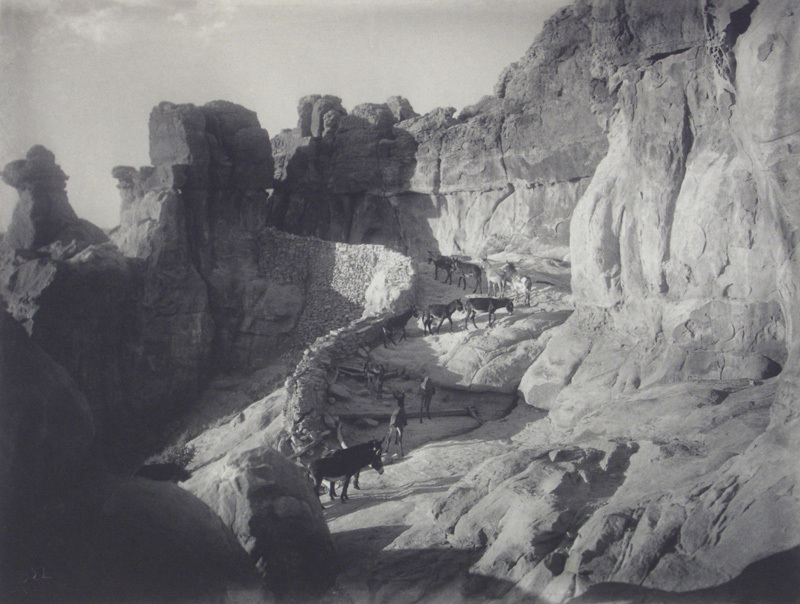 Adam Clark Vroman, In The Jetty-ti 75 Miles North Of Holbrook, Arizona, 1899, 6.125x8" platinum print. 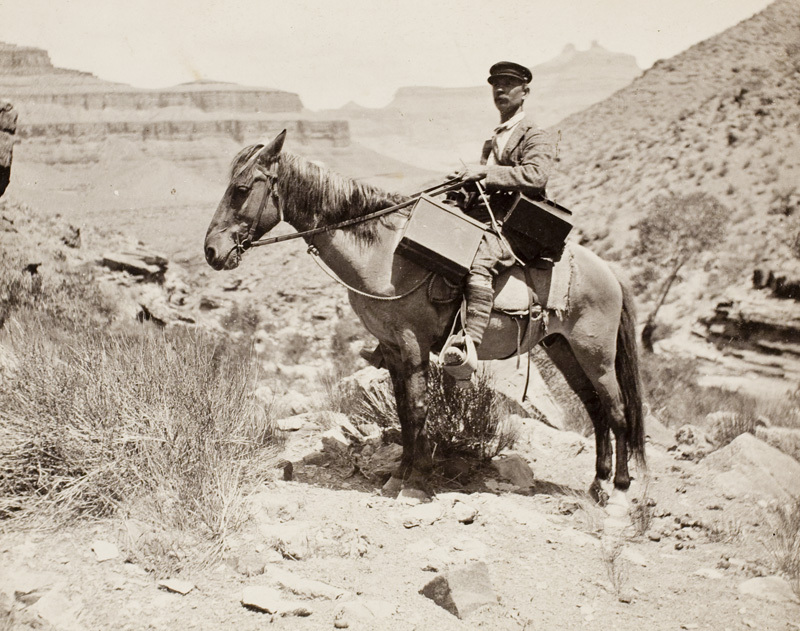 In these views we see James and his four legged assistants hauling photographic equipment in the Grand Canyon area. 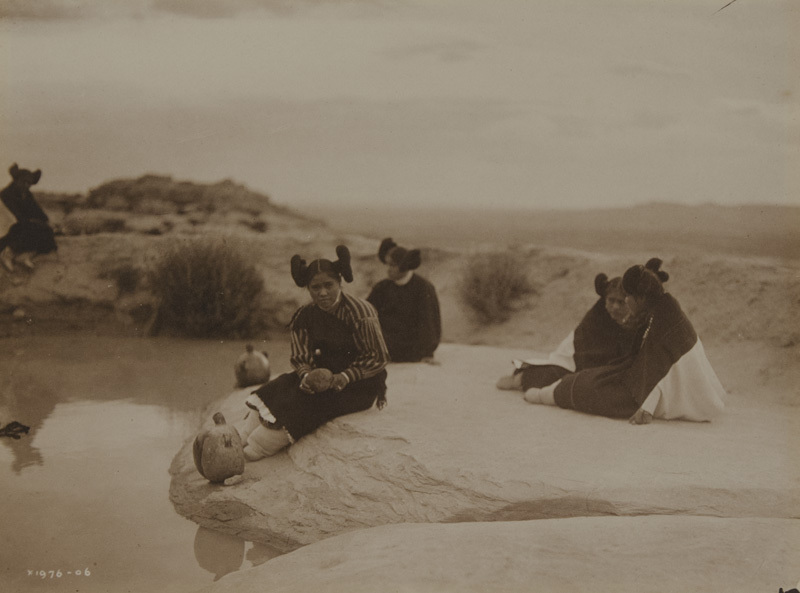 Edward S. Curtis, Pl. 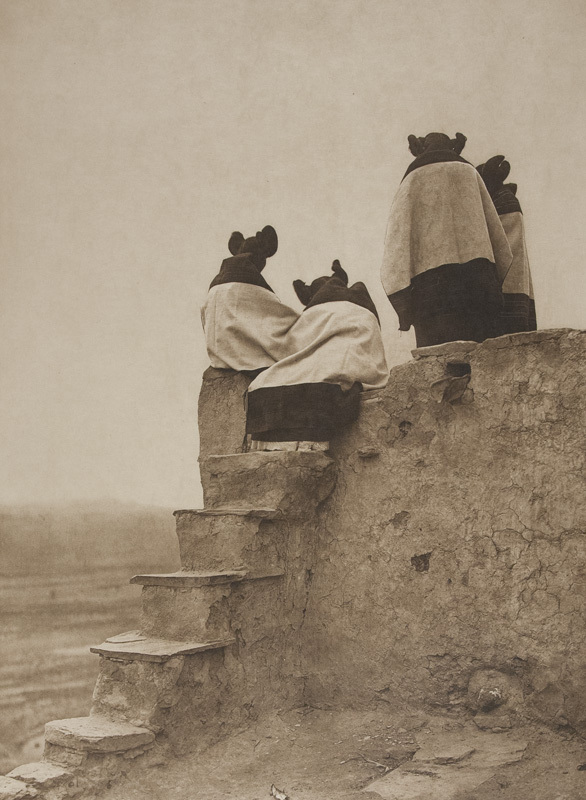 405 Watching The Dancers, 1906, 15.25x11.25”, original photogravure on Japan Vellum paper 22x18”. 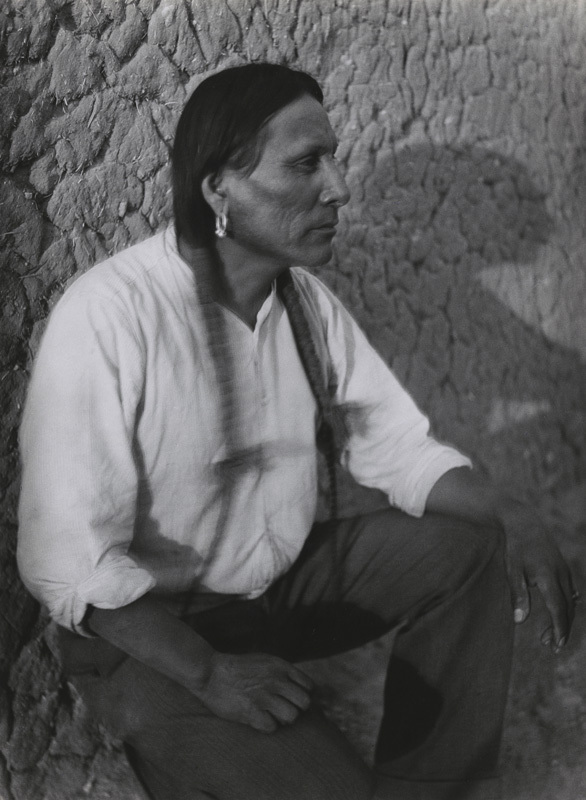 Curtis loved to photograph in Hopi beginning in 1900 and going back many times. 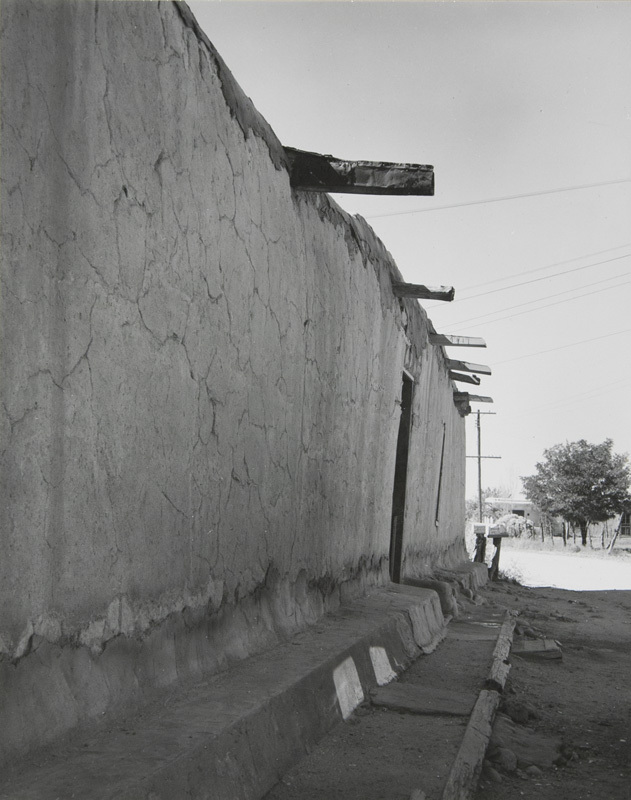 This is one of Curtis’ iconic photographs. 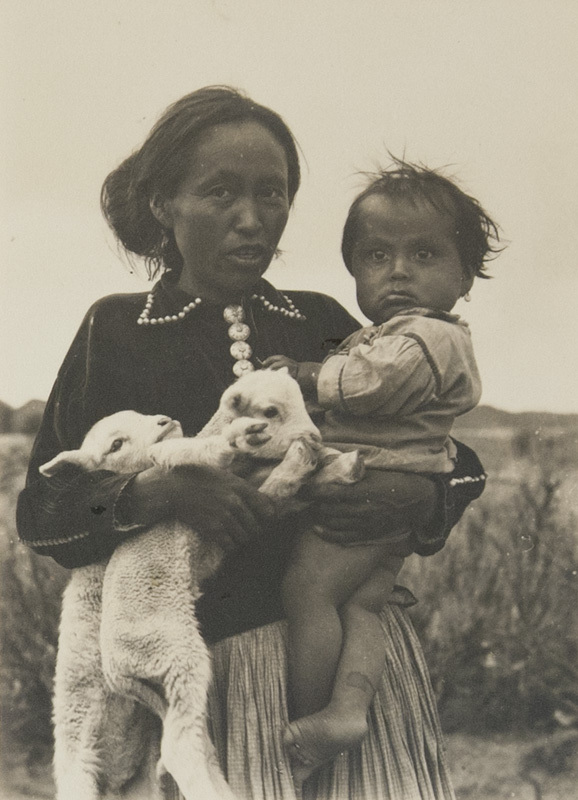 Edward S. Curtis, Pl. 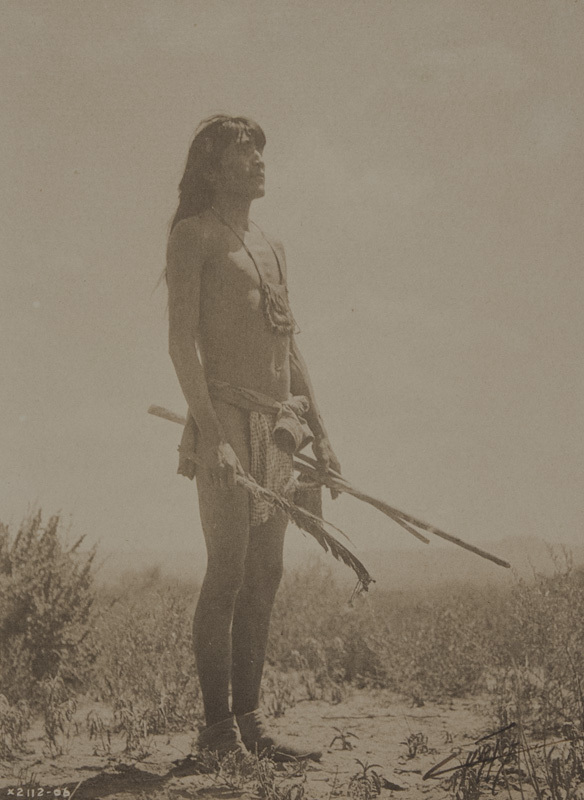 013 The Scout - Apache, 1906, 11.3x15”; original photogravure on Japan Vellum paper, 18 x22”. 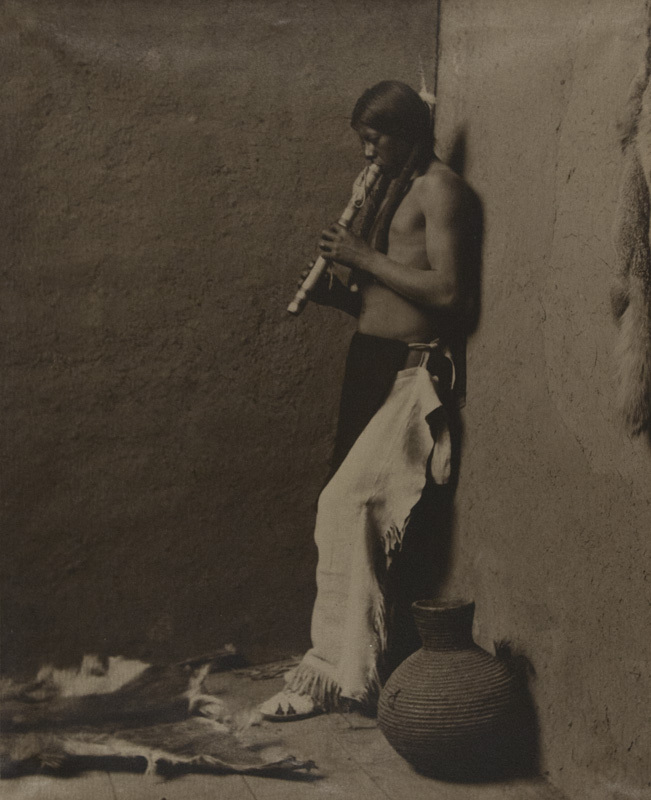 Curtis was a romantic photographer, with many of his most famous pictures adopting the painterly style of the Pictorial and Photo-secession movements championed at the time by Alfred Stieglitz. 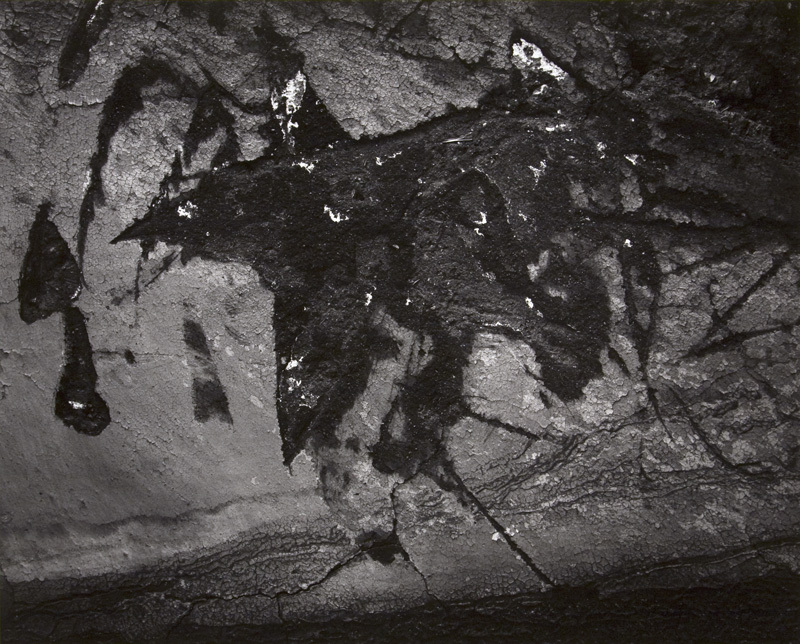 The idea was to make photographs look painterly, as here with the soft focus and printing. 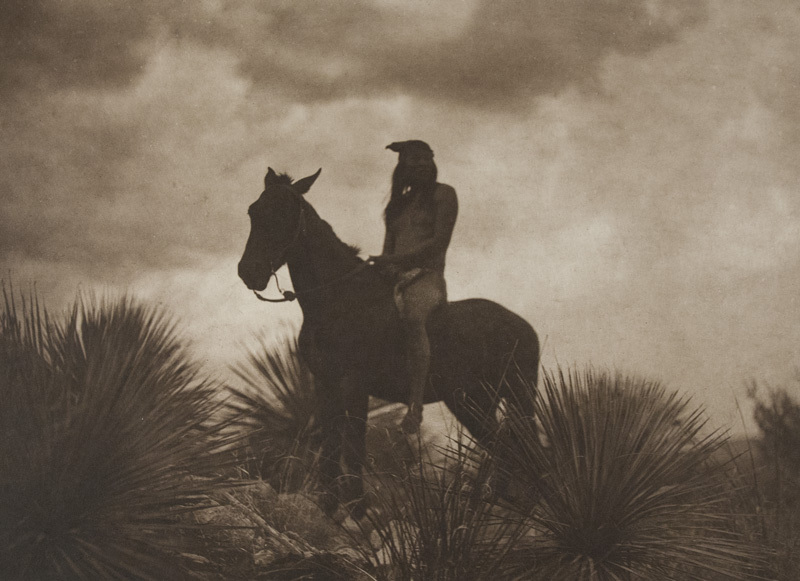 At the same time he wanted to show his subjects in heroic poses of life as it was before the white man came..
Karl (Carl) Moon was a photographer, painter and illustrator setting up a studio in Albuquerque in 1904. 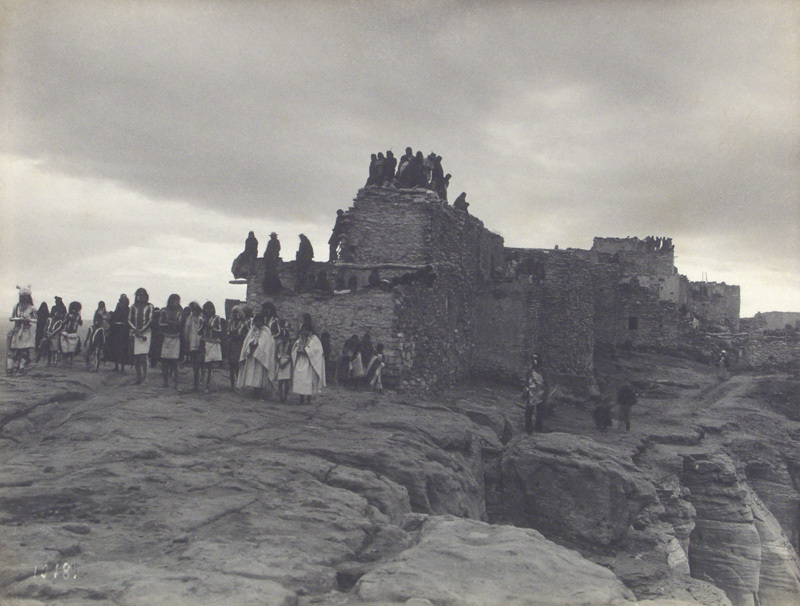 In 1907 he moved to the Grand Canyon where he managed the Fred Harvey art galleries and was the official Fred Harvey Photographer. 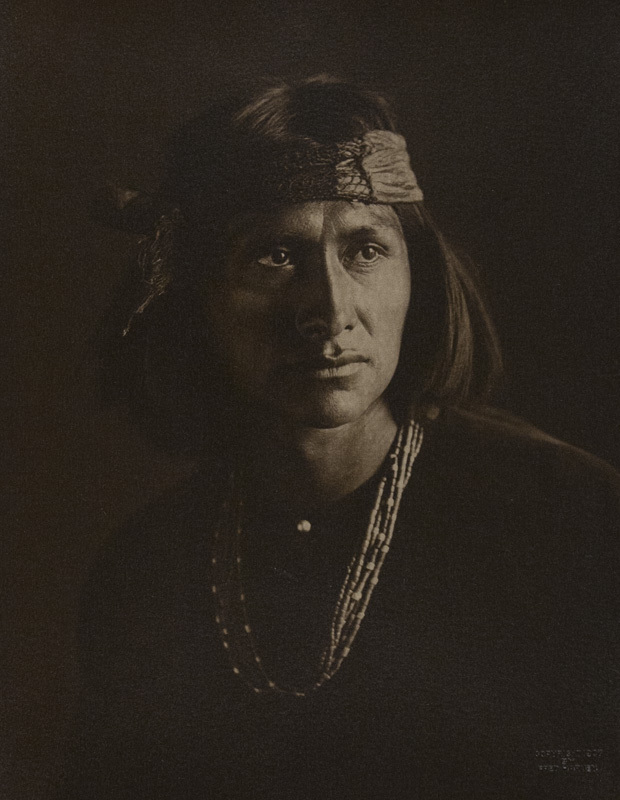 He moved to Pasadena in 1914. 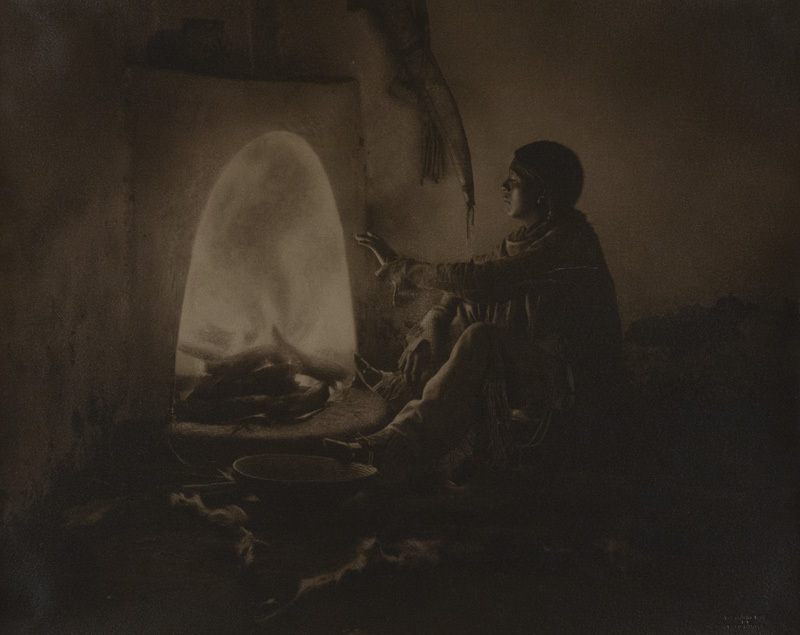 Karl Moon, Coutudle, 1909 c., 15.8x12", gelatin silver print from the collection of Kurt Koegler. 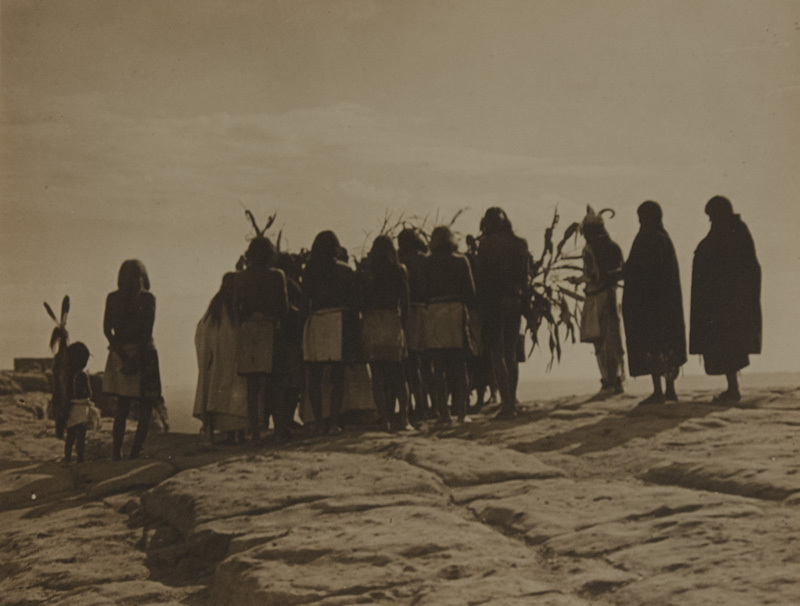 The Fred Harvey Company also commissioned a number of the Taos painters such as Irving Couse and Joseph Sharp and stylistically Moon’s photographed were of the same style as the more famous painters. 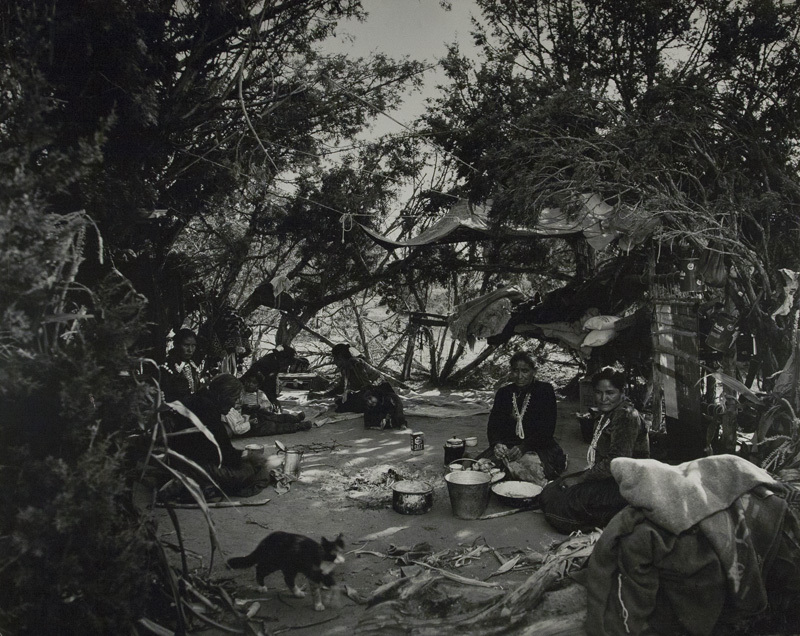 Arnold Genthe, the famous San Francisco pictorial photographer photographed in Arizona in the 1920s. 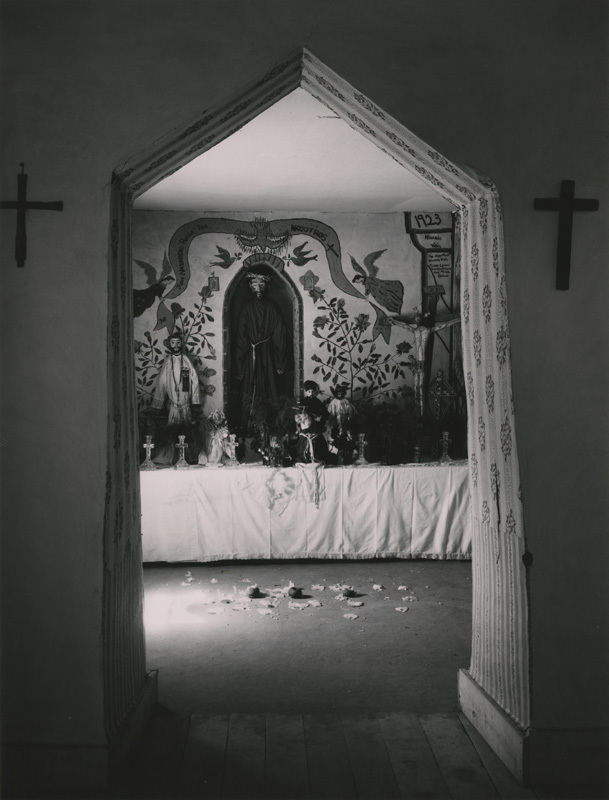 Romantic and soft focus was his trademark style. 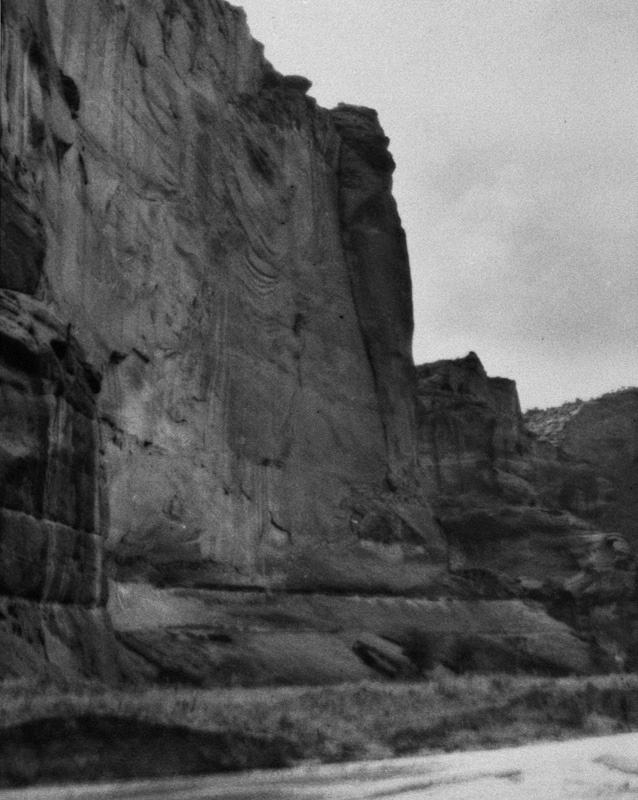 Laura Gilpin and Ansel Adams two of the best know 20th century artistic photographers of the Southwest. 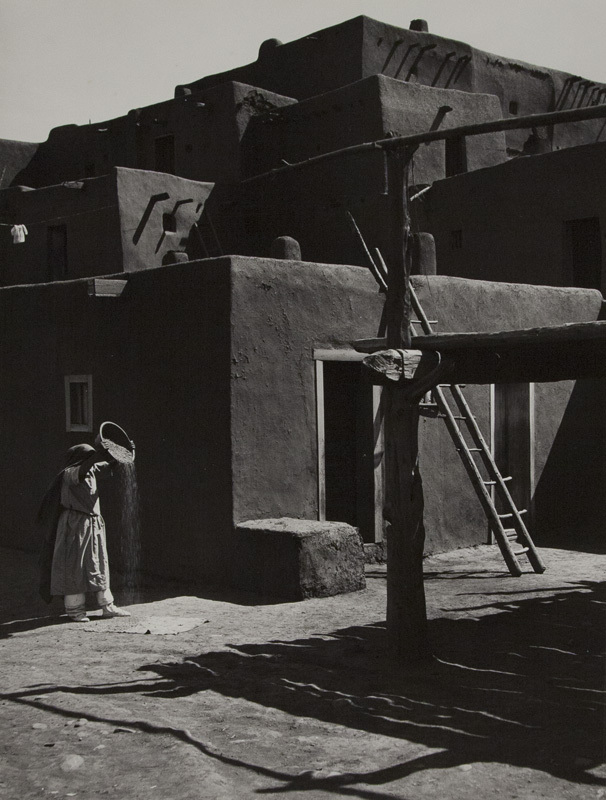 Gilpin grew up in Colorado Springs, moved to Santa Fe in the 1940s. 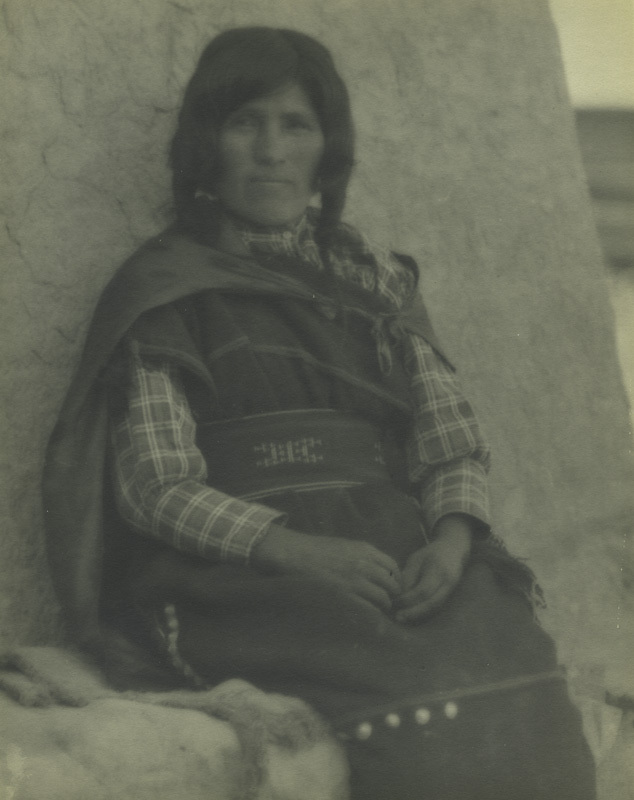 She studied at the Clarence White School in the 1910s and is best known for her landscape work and work with the Navajo Indians. 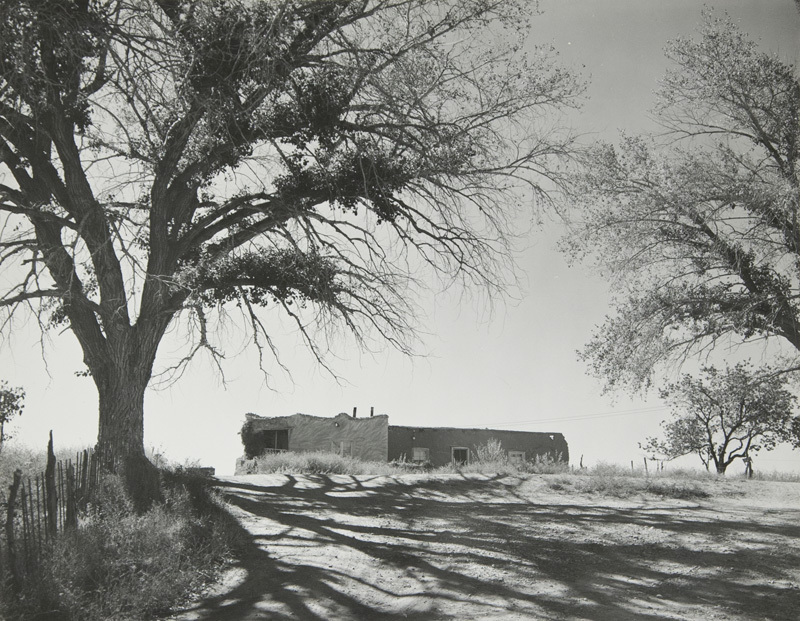 Ansel Adams second home was the southwest and he photographed there from the late 1920s through the 1970s. 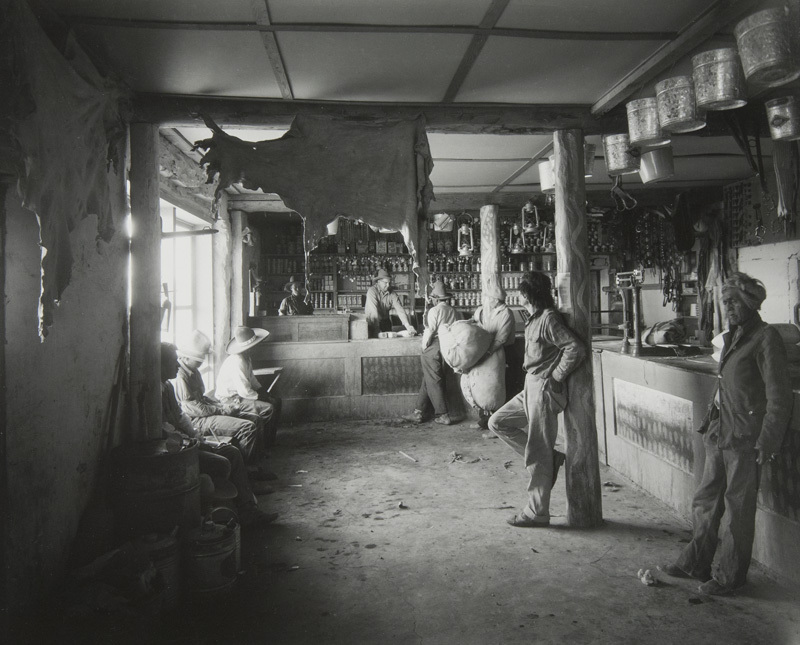 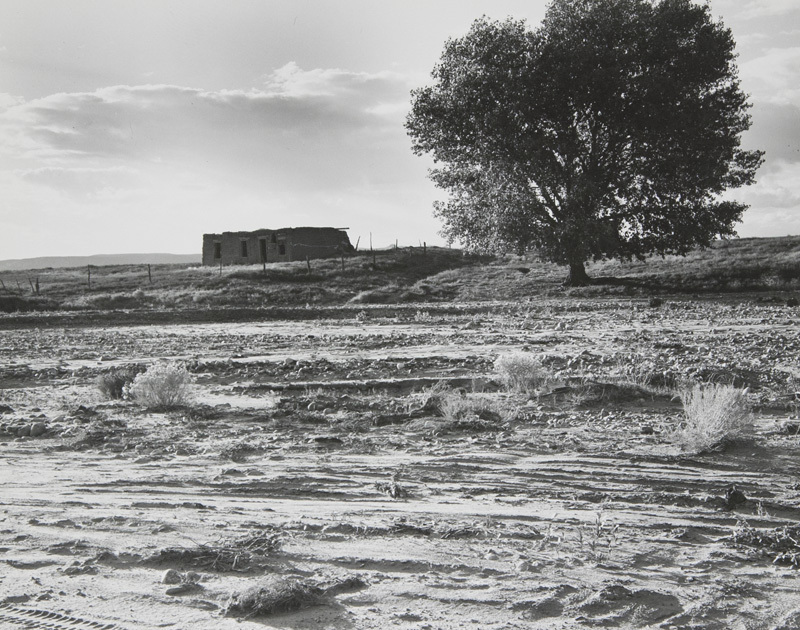 Ansel Adams, Winnowing Grain, Taos Pueblo, New Mexico, 1929, gelatin silver print 1972 c.
Ansel Adams, Julian Martinez, San Ildefonso Pueblo, New Mexico. 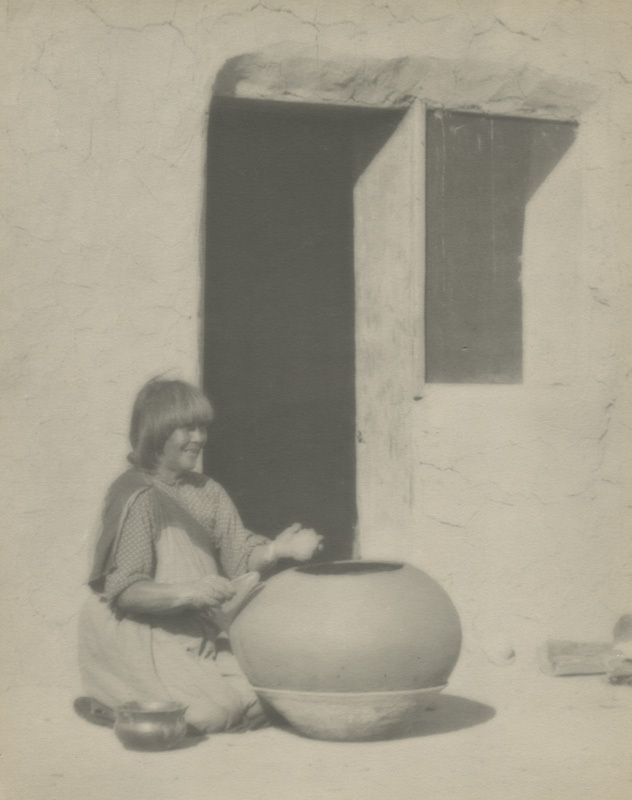 1929, gelatin silver print 1967 c.. A potter and husband of famous potter Maria Martinez. 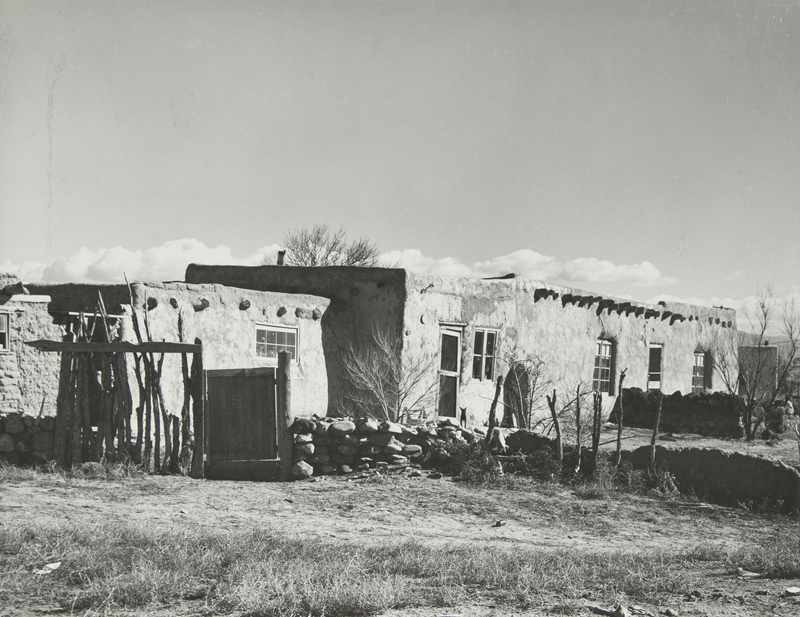 Laura Gilpin, Santa Fe area, [adobe house with short wall in foreground], 1949, 7.125x9.375" vintage gelatin silver print. 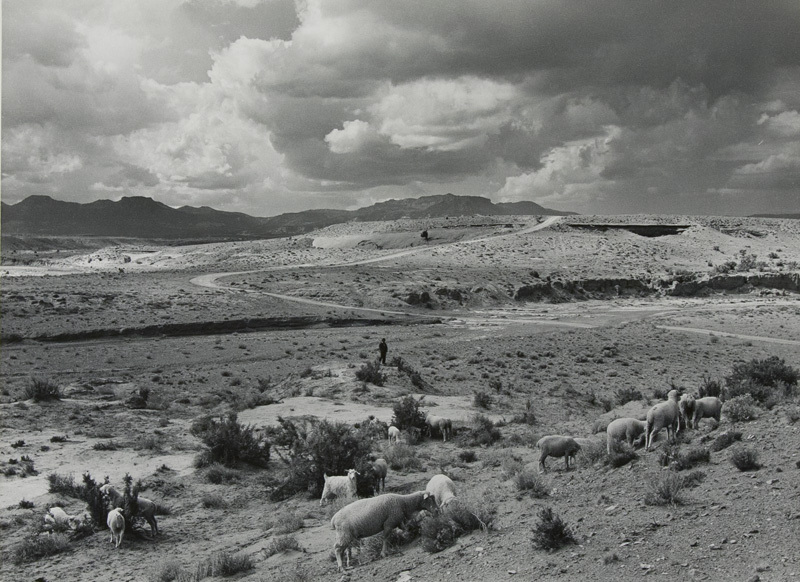 Laura Gilpin, Campo Santo, El Valle, New Mexico, 1961, 9.5x7.4", gelatin silver print 1970 c.
Laura Gilpin, The Little Shepard, 1950, 10x13.2" gelatin silver print 1974 c.